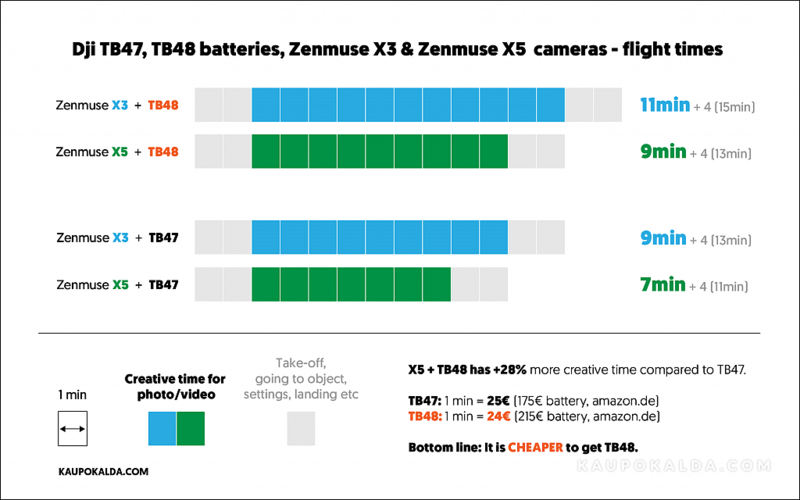 People are asking - how much less creatice (effective) flight time has Dji Inspire 1 with heavier Zenmuse X5 camera compared to older Zenmuse X3 camera? And should you buy smaller/cheaper TB47 or bigger/more expensive TB48 battery? The answer is: TB48 is cheaper per 1 min creative flight time.